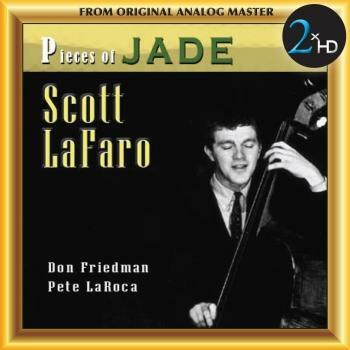 Scott LaFaro was one of the twentieth century’s most influential jazz musicians. 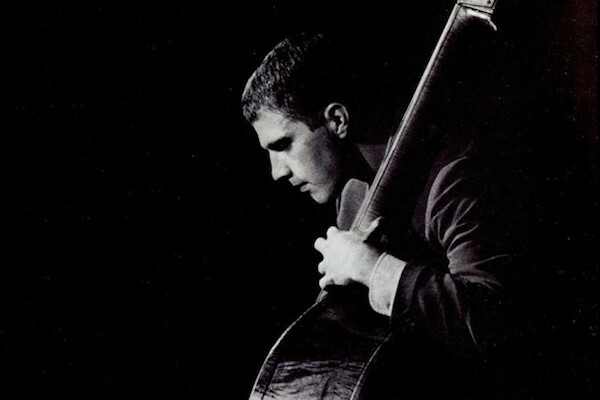 During his tragically short life, Scott LaFaro quickly developed into one of the most advanced bassists around, competing with Charlie Haden and Charles Mingus. He emphasized high notes, could play with great speed, and his interplay with Bill Evans in their trio was mutually stimulating and influential. Best known for his landmark recordings with Bill Evans, LaFaro played bass a mere seven years before his life and career were cut short by an automobile accident when he was only 25 years old, his sudden death causing a major shock to the jazz world. Listening to this album is like taking a quantum leap in time. It’s like eavesdropping on a New York apartment in 1961 and hearing someone playing his bass with total conviction sometimes alone, sometimes with others, resonating from where he lives. This time we hear Scotty on a recording session with Don Friedman on piano and Pete LaRoca on drums. 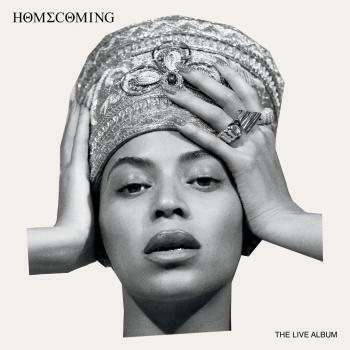 These performances have the raw feel of a jam session and you can sense this group hasn’t benefited from a season of playing regularly together, yet there are inspired moments, from each musician. It’s another fascinating look into a ‘day-in-the-life’ of a great musician who sadly left us with too few days to travel back to again. „Considering the legendary bassist Scott LaFaro released no albums as a leader and was known strictly as a sideman, that this recording exists is nothing less than a miracle, and an event in the annals of jazz. It consists of a brief program featuring five selections with the equally brilliant pianist Don Friedman and drummer Pete La Roca, a long rehearsal tape of "My Foolish Heart" with the Bill Evans Trio circa 1966, a 1966 interview about LaFaro with Evans, and a solo piano piece from Friedman done in 1985. So while only half of the disc faithfully features LaFaro's deep and honest bass playing, it is more than worthwhile to finally hear. Of the tracks with Friedman, LaFaro's bass is clearly heard, up in the production mix, and holds its own as a distinctive voice, his solid, resonant quarter notes pounding out these rhythms like few ever have. But it is Friedman, a brilliant jazz musician in his own right, who shines mightily on this date, and in many ways trumps Evans in terms of chops, invention, and bop energy. His fingers are flying on "I Hear a Rhapsody," buoyed by the swing of LaFaro, while conversely able to fluidly flow through non-stressed lines on "Green Dolphin Street," where his extrapolated lines combine innovation with subtlety. There are two takes of the Friedman original "Sacre Bléu," as the pianist delves deep into pure melody with slightly off-minor shadings and chiming piano chords, followed by classic LaFaro bass solos. Rocco Scott LaFaro (April 3, 1936 July 6, 1961) was an influential American jazz double bassist, perhaps best known for his seminal work with the Bill Evans Trio.